Tobacco Control has now joined the BMJ Group Blogs – welcome to our inaugural post! Ok, ok, so maybe we’re a tad late to the party – but we’re here now and we promise to make it worth the wait. Our master plan for this blog is that it will be topical, engaging, and most important of all include participation from TC readers, authors, reviewers, and editors. The tone and character will be collegial, but we warmly welcome the cheeky and irreverent. In keeping with the spirit of blogging, the style will be conversational and entries short for easy and enjoyable reading. Seems there is no limit to the creativity of tobacco industry when it comes to inventing new ways to recruit addicts. 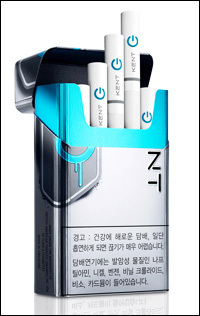 BAT Korea is this week launching the KENT Convertible – a cigarette which contains a liquid capsule in the filter that can be clicked to release a burst of flavour. Maybe these flavour capsules could be used to our advantage though – if they were only permitted if they actually made the smoke taste of the real ingredients in cigarettes? Can’t imagine a formaldehyde flavoured “KENT Convertible” would be a big seller. Got an idea for a topic for the blog, or perhaps you’d like to submit a blog posting? Email Becky Freeman (TC’s Asst Editor of New Media) to discuss possibilities.